This year I'm participating as one of the 2018 interns in the Nephrology Social Media Collective (NSMC) internship. Now in it's 4th year running, the goal of the internship is to train physicians in how to use Twitter and other social media platforms to communicate effectively online and develop your personal online identity. This year there are a record-breaking 25 interns who will be participating in all things related to nephrology in social media, including NephJC (http://www.nephjc.com/), NephMadness (https://ajkdblog.org/category/nephmadness/), Renal Fellow Network (http://renalfellow.blogspot.com/) and others. 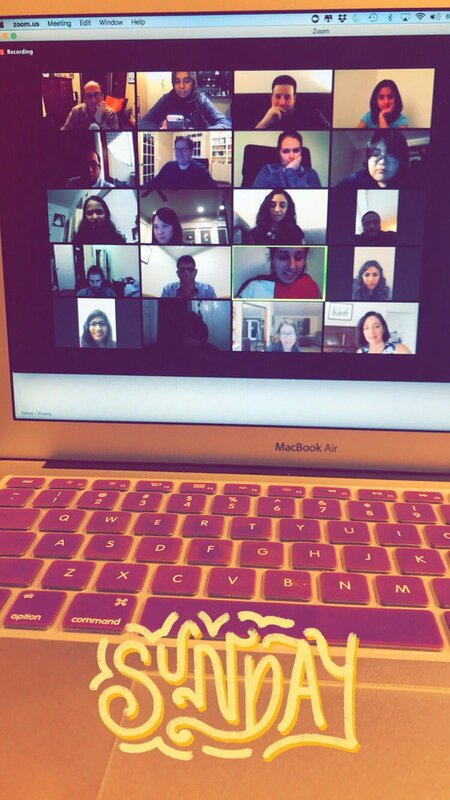 Nimra Sarfaraz, one of this year's interns, got a great shot of the first conference call last night. In addition to posting on Ins & Outs, I will be cross-posting content that I will be contributing to the NSMC. Stay tuned!